Are you curious on what to expect during your visit to Christmas in the Garden? We want to share tips and tricks with you to make your experience as magical as possible. There are also many things to do and see at the event, we want to share these with you to make sure you experience all the Christmas in the Garden has to offer. 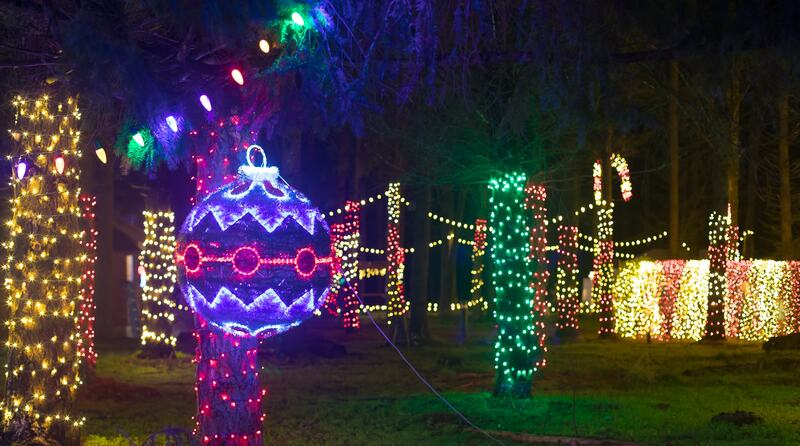 Christmas in the Garden is nestled into a 10 acre forest within the 80-acre Oregon Garden. Its remote location makes it a charming event venue, and takes a little extra time to get to. The closest onsite parking lot is a ¼ mile away from the event itself, and even some of our onsite parking is far enough away that it requires a shuttle. Our complimentary off-site parking lots and shuttles are anywhere from 1 to 3 miles away, with driving time of 20 to 25 minutes during peak visitation. We appreciate your patience as we strive to get all of our guests here safely and as quickly as we can. The journey will be worth the experience! 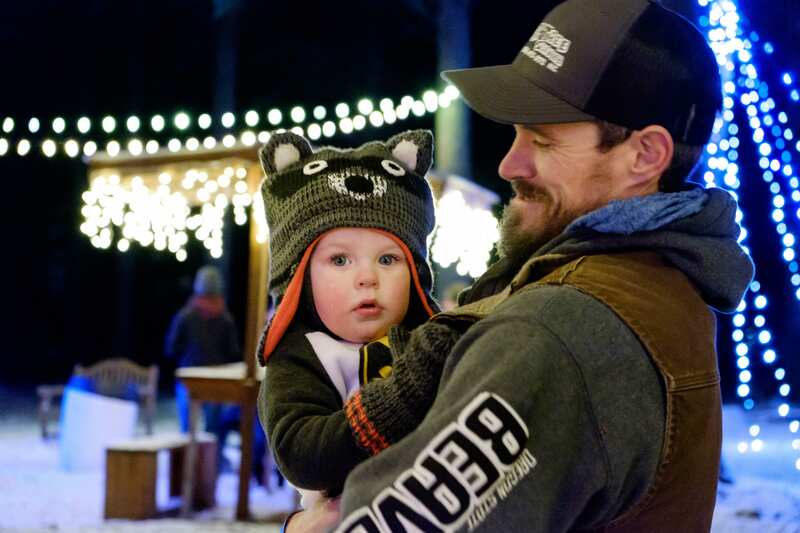 Christmas in the Garden is an outdoor event, with paths and trails leading you through a million light display winding through the forest, dotted with merchants, food booths, fire pits and games. It is Oregon in December; it drizzles, it gets breezy and when we’re lucky, it snows! Except for truly unsafe conditions like lightning or extreme winds, this is a rain or shine event. Please prepare yourselves and loved ones for these conditions – warm waterproof coats and gloves are always appropriate. 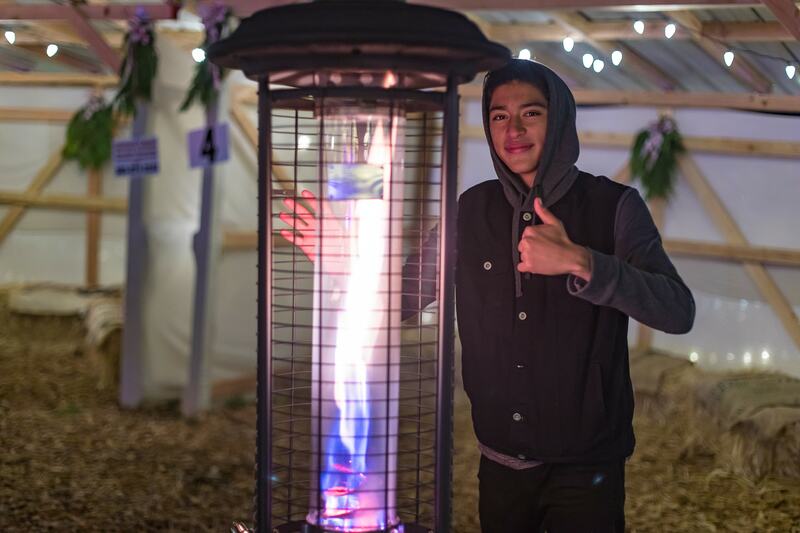 That being said, you will find multiple places to cozy up by a fire, have a seat in a Christmas Cabana or dine in our Family Cheer Tent, Biergarten or Ice Rink when you need a break from the elements. If you really need to get inside, everyone is welcome at the Oregon Garden Resort, where our Fireside Lounge, Garden View Restaurant and Frosty’s Family Room are all ready to take care of you. Our event is unique in that it isn’t just one thing. It’s not just a shopping event, or a light display, or an ice rink, or a photo op, it is all of that and much, much, more. Many of our guests find themselves staying two to three hours because there’s so much to do, and it’s fun to linger awhile with food, drink, friends and family. We frequently see families enjoying a card game in the dining tent, or parents sneaking away for a gluhwein in the Biergarten while grandparents watch the kids skate. 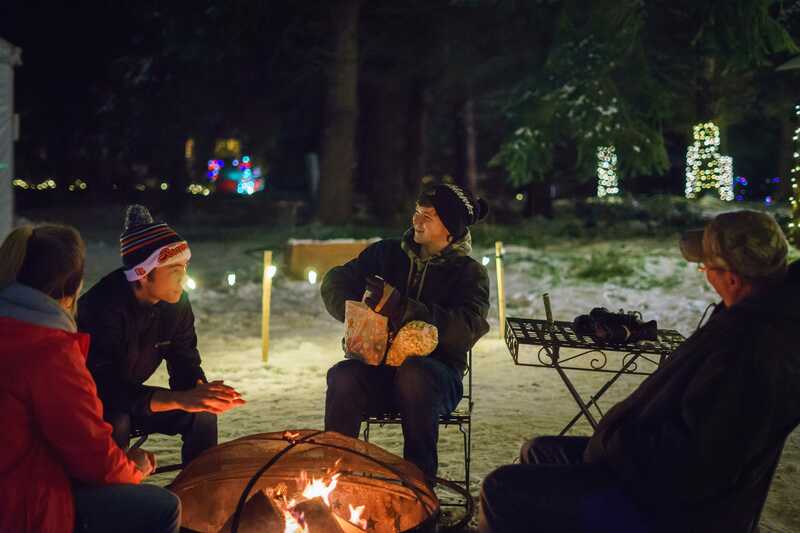 Spontaneous caroling has been known to break out around the fire pits with newly made friends. We are hoping to create a space where you can stop and slow down to enjoy the company of others. We recognize that families with babies and toddlers have special needs in this outdoor environment. There’s nothing more frustrating for an 18 month old than being stuck in a stroller, or for parents to search for a place to change a baby. To help make the experience more comfortable for all, we are expanding our Family Privacy Lounge to include comfy chairs for feeding, changing tables and outlets for pumps or bottle warmers. This is directly adjacent to the new Kid Corral, a covered, floored, fenced in play area where toddlers can break free of their strollers without the worry of them running off or eating bark. When the little ones have had enough but you’re not ready for the fun to end, head up to Frosty’s Family Room in the Resort. We are featuring a kids menu, coloring, holiday movies, and a full lounge menu and bar for the grown ups.